While our previous blog illustrated that plenty of Right Bank wines have great potential, it’s clear the natural characteristics of the vintage have favoured the Left. It’s a generalisation of course but we tended to find fresher fruit, finer tannins and less obvious alcohol on this side of the river. You have to be selective but there are some outstanding wines, particularly in among the famous villages of the Haut Médoc. The heat was still as issue though. Inland parts of the Haut Médoc and the south-eastern extremities of Pessac and the Graves suffered in the drought. One producer we spoke to recorded some ‘very powerful Merlot’ with more than 16% potential alcohol. As a result, too many reds in these parts of Bordeaux showed slightly burnt fruit or rather drying tannin. As for the whites, I’m afraid most were overtly tropical and rather flabby. Precious few had the balancing acidity to make them worthy of note and some even struggled to stay dry. By contrast, the cooler spots of the Northern Médoc have made some excellent reds that should offer superb value, as they often do in warmer vintages. Clos Manou and Potensac were two particular favourites. Mildew was mentioned more on this side of the river where organic and biodynamic plots were badly hit. In these areas, yields here were often down to 15-20 hectolitres per hectare (hl/h) or less – compared to an average of around 35-45hl/h. That sounds bad but, with the notable exception of Palmer, bio plots rarely made up more than 20-25% of the total vineyard area, so overall yield was still good. The mood in the top communes of the Haut Médoc was therefore nothing short of triumphant. Many winemakers talked of 2018 being an outstanding vintage, confidently comparing it to 2010 or 2016. Some genuinely believe 2018 is the best wine they have ever made and slipped into a state of reverie when talking about the quality of their Merlot and Cabernet. The statistics were certainly impressive: high alcohol levels, often record IPTs (Indice de Polyphénols Totaux – a rather imperfect measure of tannin level), and relatively low pHs. It all sounded very promising indeed but the Bordelais are past masters at ‘talking up’ a vintage so we took most of this with a pinch of salt and just focused on analysing the samples put in front of us. In truth, we found a vintage stylistically quite different to 2010 or 2016. The 2018s tend to be more richly fruited, more densely structured, and generally higher in alcohol. As on the Right Bank, the best wines had a balancing freshness but this was by no means universally achieved. Augustin Lacaille of d’Issan summed it up, ‘freshness was the challenge of the vintage’. As on the Right Bank, old vines and water retaining clay soils were key to success. With such a serene harvest most were able to pick with impunity so that made choices in the winery all the more important. It became ‘a vintage of choice’ according to one top Pauillac estate, and those that naturally err toward elegance rather than power tended to produce the best wines. You don’t have to spend big to find these qualities and Saint Éstephe was a particularly rich hunting ground. Capbern, Le Crock, Meyney and Ormes de Pez were all very impressive. Elsewhere, Sénéjac and Labégorce really caught our eye among the more accessible properties. Cooler spots did very well too – those areas with imperfect aspects often singled out for second wines produced some very fine fruit indeed. We were bowled over by wines like Marquis de Calon, Reserve de Comtesse, Lacoste Borie, Blason d’Issan and Baron de Brane. They are immensely attractive, ripe, juicy clarets that will provide a huge amount of pleasure in five years’ time. Magnums wouldn’t be a bad idea at all. At the other end of the spectrum, we felt Mouton won among the first growths for pure pleasure. Latour just pipped Lafite but you will certainly have a long wait ahead. Margaux was very good but we felt that two cases of Brane Cantenac would probably be a sweeter deal in this vintage. At the risk of raising eyebrows, we marginally preferred the slightly more open and fresher fruited La Mission to Haut Brion this year. Among the super-seconds, the Pichons both excelled in their different styles. Léoville Barton was the best among a very strong crop of Saint Julien and Calon Ségur deserves to be mentioned in despatches for downright deliciousness. In this vintage the distance between the first growths and these other top wines is quite narrow so they are well worthy of close consideration if you want something special to add to your cellar. One final observation – several winemakers spoke openly about subtle changes they are making in order to produce wines ‘for the new consumer’. Their goal is to create wines that can be enjoyed at every stage of their evolution. Whether you think this is a good idea or not, it’s likely that climactic changes and these winemaking tweaks are going to produce claret in a more obviously fruit-forward style, with very supple tannins and more mid-palate softness. 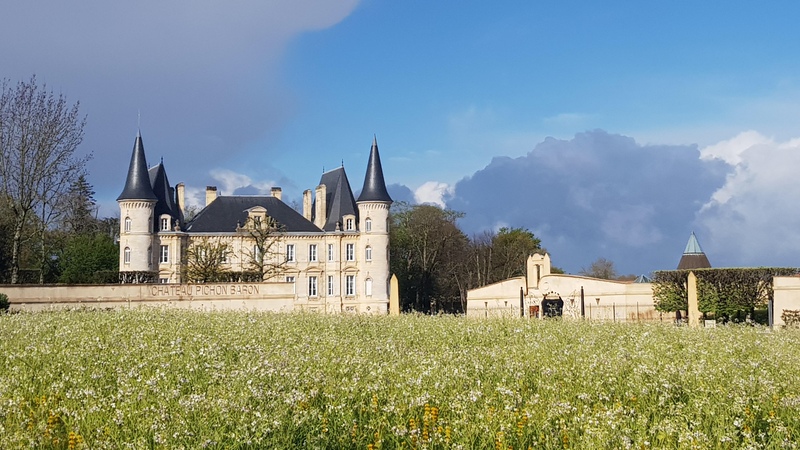 Vignerons claim that the wines will still age gracefully for decades, and we’re sure many will, but expect this to be growing trend as Bordeaux seeks to satisfy the more impatient consumer. Keep an eye out for our full vintage report next week.